Are you are looking for the best movie and TV apps for online streaming that offer a fantastic alternative to Kodi, then this blog post has you covered. This article is predominately based for Australian readers, but will work generally for most countries. These apps should be available in the app stores as mentioned before some will require a VPN to install and run, due to geoblocking. With the closure of the grey third party add-ons for Kodi rightfully coming to an end many people are looking for an alternative to Kodi. It's likely Kodi will survive, and move in a direction where unofficial third party add-ons may not be able to be installed, and more legitimate services like Netflix etc may have official plugins. While Kodi is extremely popular, I have for a long time felt that for Android TV boxes, tablets, phones there are many better options available. Kodi served its purpose well, bridging one platform across several different devices. For reliability quality, consistency a native app is always going to deliver better performance. Now lets get to the fun part, we split our list into paid, i.e subscription based apps and free legitimate streaming services. Netflix is the best and biggest video on demand streaming site in the world. And for a relatively low price you can get hold of thousands of titles instantly. But it does have several limitations. HBO NOW is an on-demand, streaming service that gives you unlimited access to all of HBO's original programming (every season, every episode), plus hit movies, documentaries, sports, and exclusive comedy specials. With just an Internet connection, you can subscribe to HBO NOW through a subscription provider and start streaming your favorite HBO shows. To see what shows and movies you can stream, go to HBONOW.com or HBO.com. HBO is only available in the United States, Argentina, Colombia, Mexico, certain U.S. territories. To access it you need to use a VPN, which is not illegal, but is against their terms of service. If you get caught, unlike Netflix who display a warning to disconnect the VPN or proxy, HBO may disconnect your service and not offer a refund. If you wish to test HBO Now out we strongly recommend the use of ExpressVPN, who have the largest network of locations making their detection by services such as Netflix and HBO Now even more difficult. What does Optus Sport get me? With live streams of all 380 matches of the current EPL season, 290 of which you can go back and watch on-demand as often as you like, Optus Sport has plenty to offer EPL fans. Whether you're at home or on-the-go, you'll have access to all the latest news, live streams and full-match replays on a wide range of mobile and non-mobile devices. For even more insight into the league, you can stream a dedicated 24/7 EPL channel hosted by a team of Premier League experts anytime. Since the Aussie cricket season only runs for four months of the year, it's important to get the most out of each and every over. Optus Sport makes this easy. During the 2016-2017 cricket season, Optus Sport hosted a 24/7 cricket channel breaking down every ball, every catch and every run. Combined with exclusive interviews and replays of classic matches from cricket history, this channel was the ideal companion to the 2016-2017 season. When the next season kicks off this summer, Optus Sport will be the go-to destination for Aussie cricket fans looking to live and breathe their favourite sport. From its inception, Hulu has been about TV shows, and that emphasis remains. The service offers hundreds of seasons and thousands of episodes from the major networks, including some premium cable networks, such as Showtime. Note that the CW recently pulled all its shows, and CBS has greatly curtailed its contributions. However, Fox recently started to pull shows from Netflix, including Futurama, while keeping content on Hulu. This makes perfect sense, given that 21st Century Fox is a minority owner in the service. It’s restricted to the US, so to access the content from outside of the US you’ll need to use a VPN. Foxtel Now is the new offering by Newscorp owned Australian company Foxtel, who is a pay TV provider. Instead of offering fixed price video on demand packages for all of their content, they have gone with a very old and very outdated package deal. the more packages you buy the more you get. The problem is that it can end up being quite expensive. So why is Foxtel Now on this list? Foxtel now has a very large catalogue of movies and TV shows, as well as live TV, news, weather and sports. It’s also the only way anyone in Australia can access HBO (apart from a cable service) without using a VPN. This mix of content means it makes it to the list, but only just. Stan is Australia’s take on a streaming service similar to Netflix. It has a fairly large catalogue of movies and TV shows, and a great list of Australian content. It’s relatively well priced offering great competition to Netflix. The app works on most devices, but can be a little buggy. With TV boxes it will only work over a very strong wifi network. To access Stan from outside of Australia you will need a VPN. VUDU Android app lets you watch movies and TV Shows wherever and whenever you want. You can watch the newest releases including Star Trek Beyond, Ghostbusters, The Legend of Tarzan and Fear the Walking Dead Season 2 way. VUDU for Android devices puts these and over 100,000 more movies, and TV shows only a tap and swipes away. You can join VUDU for free, rent or own only what you want, with no subscription or late rental fees. This app lets you stream directly to your phone or tablet, or download to watch offline and on the go. With the Sling TV app you can get the advantages of conventional TV with very little of its disadvantages. You can stream live and on-demand content options, as well as have access to sport matches such as those from the MLB, NBA, as well as College Football and others. 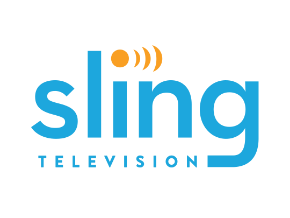 With more than 100 channels available, the Sling TV service is another great option if you are considering streaming your content via an Android app. With Crackle you can stream premium shows and movies with the click of a button. While it’s free to use, the content isn’t all that recent. But for a free service it has a lot to offer. Crackle features Nielsen’s proprietary measurement software, which will allow you to contribute to market research and you can not opt out of the service. FilmOn is a must have app if you want live TV and premium content. Like Foxtel Now, it has live TV but also premium Free Channels, Live Radio streams and Free On Demand contents plus Live Premium Pay-TV and DVR Hour Subscriptions to Watch and Record programs in HQ. While it doesn’t have full HD like Foxtel Now, it is a far better and more affordable service. Popcorn Flix is a little bit like Crackle, but without as many titles. It features over 700 titles in total, which is probably more than anyone could watch in a year, but because it’s free they aren’t recent releases. There are no limits on the number of films that can be viewed, and new titles are added daily. This service could end up being a great one, so keep an eye on it. Flipps TV – Movies, Music & TV is a mishmash of video content. It offers a mix of TV shows, movies, music videos and viral videos. There’s also news, comedy, sports highlights and more. Snagfilms is an advertising-supported documentary and independent films provider. It allows people to upload their own films for inclusion into their library. Currently they have over 5000 titles ready to stream for free. Viewster is Europes leading free online video streaming service. It allows you to watch free movies, TV shows and Anime on your devices. In fact, if you are an anime fan this is the best app for you. It is 100% free, but focuses on original content. Most Hollywood movies will not be available here. TubiTv is one of the highest rated streaming apps in the Play Store, and for good reason. It has a massive 40000 titles of movies and TV shows, all for free. The service is paid for with commercials, which can be a little annoying, but for the quality and breadth of content available, for free, it is a must have addition. If you’re a fan of documantaries the WatchDocumentary app will be a hard one to go past. Don’t expect to find National Geographic, Discovery or History Channel docs here. IIt’s going to be very different indeed. WatchDocumentary features documentaries about various social incidents. Usually the kind of things that shocked the world. BigStar Movies is an app that’s based on award-winning independent films, foreign films and documentaries. You will not find the latest Hollywood blockbuster here. If you love alternative films and doco’s, this is the service for you. Dailymotion is one of the most popular video streaming sites , you can find almost all types of free content across the app. So you can download official Dailymotion android app from the Play Store to stream free movies for free on your Android TV box, tablet or phone. You can easily switch between different streaming qualities too and you can find almost every movie in 720p quality. You can use this app on both Android & iOS based devices. YouTube isn’t always mentioned on lists of the best streaming apps, but it remains a valuable resource. In recent years, it has been dominated by dedicated movie platforms, so it certainly isn’t the most popular place to watch free films. However, lots of movies & tv shows are available on YouTube. Google Play Movies & TV allows you to watch movies and TV shows purchased or rented on Google Play. You can watch your favorite movies and shows instantly on your Android phone or tablet, or on HDTV using Chromecast. You can also download and watch from anywhere, even when you’re not connected, see the Google instruction to download videos to Android device. Google Movie Wishlist is offering you notification feature when a movie added into Google Play that was on your wishlist to watch later. So there it is. The Best Movie & TV Apps for online streaming, all 20 of them. With an abundance of choice, you will surely find one or more that meet your needs. Remember, if you want to use a streaming service you really should be using a VPN, and the best VPN is ExpressVPN. They will help bypass the Geo-blockers apps like Hulu, Netflix and HBO and also conceal your identity online. Attached below is our top android box picks. Please let us know what you think of our post in the comments.